Going to the doctor’s office can often be a stressful experience, especially for seniors. With a little preparedness, doctors’ visits can go a lot smoother and can result in better care. Here are some quick ways you can help yourself or a loved prepare for the next visit. As with most things in life, communicating is the key to successful doctors’ appointments. Make a list of things you want to review with your doctor. Note things like how you’ve been feeling recently and highlight any red flags like loss of appetite or unexplained fatigue and discuss any medications you are taking. It may also be helpful to bring a trusted family or friend with you to help explain any medical issues. Be sure to mention any recent visit to the emergency room, urgent care centers, or specialists.Once you communicate to your doctor why you are there, it’s important that you listen to what the doctor has to say. Ask for clarification on anything you don’t understand. Now’s the time to get your questions answered, don’t leave feeling confused or unsure. It can also be helpful to take notes to review later with family. At the end of your doctor’s appointment make arrangements with your doctor to follow up. Plan your next visit and discuss how to get your follow-up questions answered via phone or email. Also be sure to ask for a copy of any test results from test you receive or plan to receive. At Senior LIFE, communication with our members is a top priority. Our team consisting of doctors, nurses, social workers, and speech and occupational therapists work together to develop a care plan to meet your needs. The team meets daily during an interdisciplinary team meeting to discuss members needs that day and any changes that may be needed to best serve members. 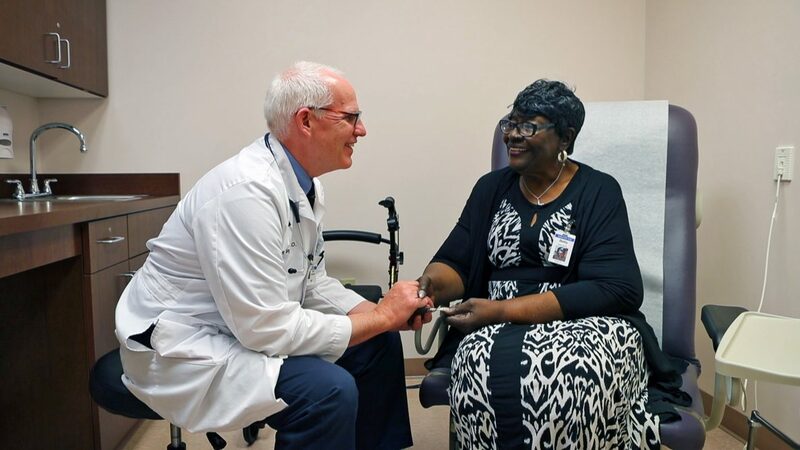 We coordinate all of your specialist appointments, and even provide the transportation to all appointments and to the LIFE Health and Wellness center. Tired of trying to coordinate your own healthcare? After the Visit: What to do when you get home from the doctor’s office. Taking care of yourself doesn’t stop once you leave the doctors office. Take a few simple steps when you get home to ensure that you get the most out of your visit. The most important thing you can do following a doctor’s visit is to review the visit with trusted family and friends so that everyone understands the circumstances. Having multiple people support your care plan will make any transitions easier and will insure that your needs are met. Secondly, make a plan to get what you need with the help of family and friends. If any medications were prescribed, make plans with family to have your prescription picked up. Some pharmacies may even deliver, or, if you are Senior LIFE member, prescriptions are delivered directly to your door in easy-to-use packaging. Lastly, be sure to mark your calendar with your next follow up appointment with your doctor! Need help coordinating your healthcare and doctors visits? To find out how Senior LIFE can help, contact us or visit the Senior LIFE center nearest to you.